The epidural birth injury lawyers at Newsome Melton can help you hold your medical provider responsible and recover compensation for your or your child's injuries. If the anesthesiologist, obstetrician, nurse anesthetist, or other medical professional involved in a birth fails to administer an epidural correctly, it can lead to a host of injuries for both mother and baby. If you or your child suffered an epidural birth injury, you could have grounds for a medical malpractice claim. An epidural birth injury lawyer from Newsome Melton can help hold the medical professional accountable and recover compensation. The Newsome Melton team invites you for a free case evaluation to discuss your options and see how our birth trauma attorneys can help with your case. We will review your injury and offer honest feedback on the strength of your case. There is no risk or obligation, and we work on contingency, meaning you do not pay us unless and until you get paid. To schedule an appointment today, call 855-633-2757. Many women receive epidurals before and during childbirth. Most end up having healthy births with only minimal side effects. Having said all that, the benefits of an epidural depend heavily on the skill of the person administering it. A wrongly administered epidural is not only not beneficial but poses risks both to a mother and the baby. A lawyer from Newsome Melton will investigate your injury and determine if an improperly administered epidural led to your or your child’s injury. If so, we will hold the anesthesiologist, obstetrician, nurse anesthetist, or other medical professionals accountable and help you recover compensation. Injecting too much anesthesia or giving too many injections in a short timeframe. Injecting an epidural into the wrong area. Giving an epidural when there are contraindications or it is not the best option for the situation. 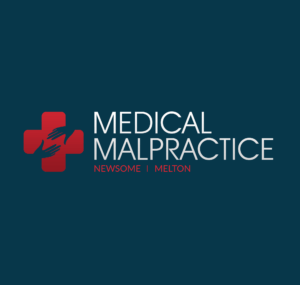 If you or your child suffered any of the injuries listed above or were harmed in any other way because of an epidural, the medical malpractice lawyers at Newsome Melton want to fight your case and help you recover damages. At Newsome Melton, we have a strong record of fighting and winning medical malpractice cases. We want to put our experience, knowledge, and resources to work for you. First, we must show that the anesthesiologist, obstetrician, nurse anesthetist, or other medical professional in question owed you a duty of care at the time they administered the epidural. We can prove a duty of care by establishing that you had an active provider-patient relationship. Second, we have to demonstrate that the anesthesiologist, obstetrician, nurse anesthetist, or other medical professional did not uphold their duty of care. We do this by comparing their actions to what one would expect from a reasonable person in the same situation. We often rely on expert witness testimony to make this case. Third, we must establish that you or your child suffered an injury, and we must draw a connection between this injury and the failure on the part of the anesthesiologist, obstetrician, nurse anesthetist, or other medical professional. Last, we have to list specific damages, which can be both economic and noneconomic, that you incurred as a result of your or your child’s injury. Once we have investigated the birth and your injuries, our team will determine the value of the damages to which you are entitled. The epidural birth injury lawyers at Newsome Melton want to meet with you today. We offer a free, no-risk case evaluation to show you how we can help you build a robust case to recover compensation for your injuries and other losses. To schedule your appointment, call 855-633-2757.